The yolk should go into the ‘ovarian pocket’ (the space surrounding the ovary). This often occurs after some viral diseases like Infectious Bronchitis where the disease damages the reproductive tract. A ruptured intestine can also cause this problem. 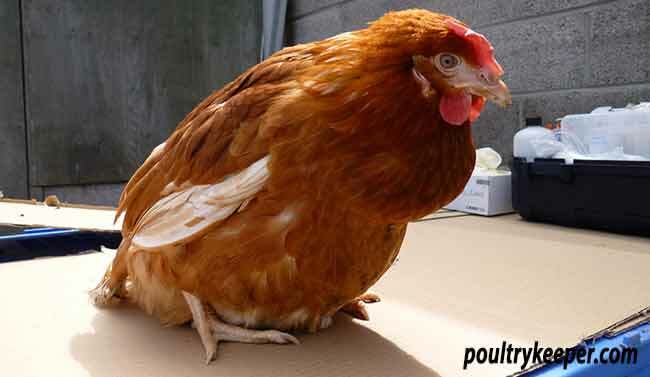 A chicken with egg peritonitis. Photo courtesy of Chickenvet. Recently, vets have been experimenting with Suprelorin Implants to stop hens from laying for a while, giving them a chance to recover.